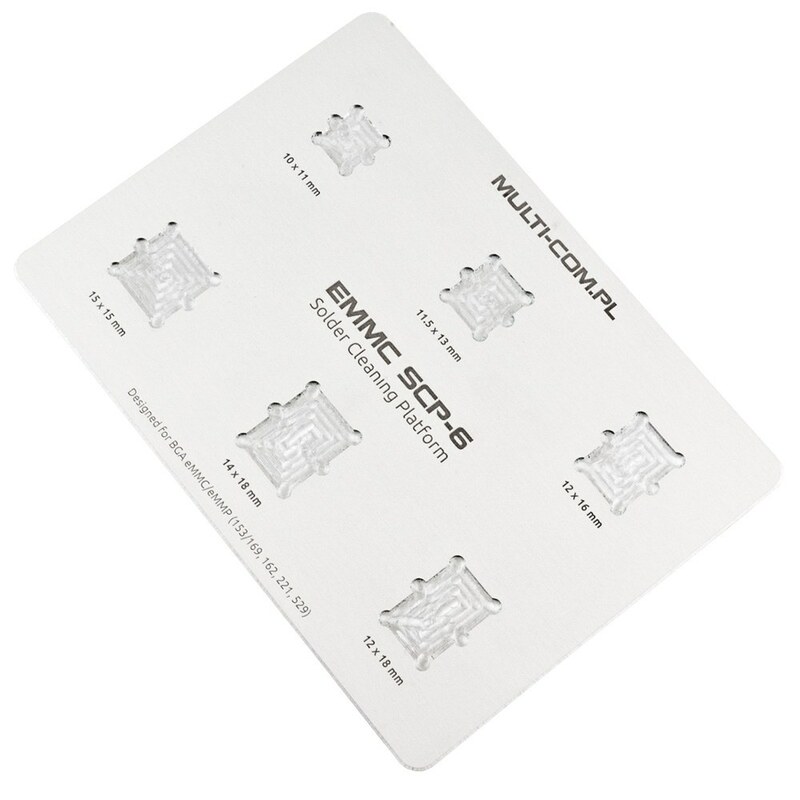 eMMC SCP-6 Platform is made from brushed aluminum to handle BGA eMMC chips secure and easily for cleaning or reballing process. 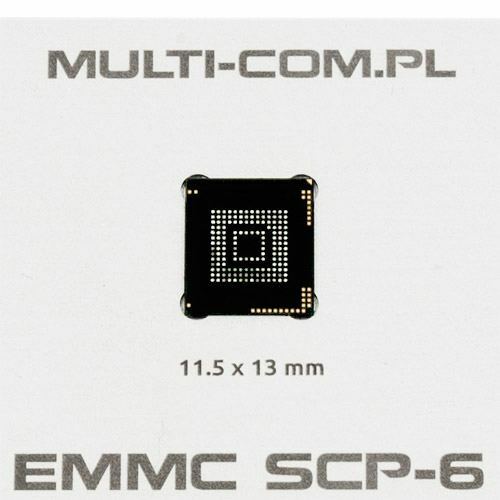 With SCP-6 you minimalize possibility of chip movement over table as well you protect it by better discharge temperature from it during cleaning process (preventing damage). 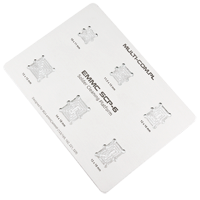 Can be also used for direct heating / reball process.